The Justice Department’s inspector general has been scrutinizing the FBI’s use of information from the Steele dossier to conduct surveillance on President Donald Trump and his associates from his 2016 presidential campaign and will release his report as soon as next month, Politico reports. IG Michael Horowitz has been examining the FBI for close to a year and is investigating whether the agency possibly abused the Foreign Intelligence Surveillance Act in October 2016 when it pulled a FISA warrant to surveil Carter Page based in part on information from Christopher Steele, a British ex-spy who claimed he was told by sources that Page and other Trump associates were working with Russians to help Trump win the election and boost Trump’s businesses. The IG is reportedly focused on gauging Steele’s credibility as a source for the FBI, and the report “is going to try and deeply undermine Steele,” according to a source who spoke with Politico. FISA allows U.S. agencies to secretly intercept a target’s communications with court approval. Horowitz is also looking into whether FBI officials Peter Strzok and Lisa Page, who exchanged anti-Trump text messages while working on the Russia investigation, were guided by politics in their official actions. The dossier was published by BuzzFeed in January 2017, after the election. Steele was being paid for his research by Fusion GPS, an opposition research firm that was funded in part by the Clinton campaign and the Democratic National Committee. Sen. Lindsey Graham, R-S.C., on Wednesday dismissed critics of his support for President Donald Trump despite Trump’s harsh remarks about Graham’s best friend, the late Sen. John McCain. “If you think the only way to honor John McCain is to tell this president, ‘I won’t work with you, I won’t ever help you,’ that’s your agenda, not mine,” he continued. “I’m the senator of South Carolina and I’m going to do what the people of South Carolina want me to do: help make this president successful,” Graham declared. Bolduan also brought up that Trump and his supporters are saying that John McCain “shopped” the unverified anti-Trump dossier compiled by ex-British spy Christopher Steele “all over town” — but Graham clarified someone from the McCain Institute may have done so but that John McCain acted responsibly. “Well I told [Trump] yeah,” he responded when asked if he told that to Trump. WASHINGTON (Reuters) – A second U.S. Senate committee on Wednesday sought to examine the motives of federal agents and investigators who launched the Trump-Russia probe as a Republican effort gathered momentum to seek retribution on behalf of President Donald Trump. Homeland Security Chairman Ron Johnson told Reuters he planned to join Judiciary Chairman Lindsey Graham, a fellow Republican, in a review of what motivated an investigation that led to U.S. Special Counsel Robert Mueller’s 22-month probe of Russian meddling in the 2016 election and possible collusion with the Trump campaign. “How was this pushed by members of the FBI, Department of Justice and the intelligence community? We’re fully aware of the bias that existed in those agencies under the Obama administration,” Johnson said, referring to Democratic President Barack Obama, who preceded Trump. “I’ve been talking to Senator Graham. I want to work hand-in-glove, our two committees, to try and get that information and make it public for the American people,” he told Reuters. Trump, whose political stature has surged with the disclosure that Mueller did not find his campaign conspired with Russia to meddle in the election, has been calling for investigations into how the probe got started. Trump advisers predict Trump will make much of the matter at a rally for supporters in Grand Rapids, Michigan, on Thursday, his first major appearance since the Mueller investigation concluded. A Trump ally, Graham laid out plans for his own investigation this week and urged U.S. Attorney General William Barr to name a special counsel to look into the matter separately. Trump still faces congressional investigations into his personal and business affairs. But Republicans are hoping Mueller’s findings will help Trump’s 2020 re-election prospects and rebound against his Democratic accusers. A focus of Republican inquiries is a Foreign Intelligence Surveillance Act (FISA) warrant for former Trump adviser Carter Page, based in part on information in a dossier compiled by Christopher Steele, a former British intelligence officer who co-founded a private intelligence firm. Page, a foreign policy adviser during Trump’s campaign, drew scrutiny from the FBI, which said in legal filings in 2016 that it believed he had been “collaborating and conspiring” with the Kremlin. Page met with several Russian government officials during a trip to Moscow in July 2016. He was not charged. Johnson also hopes to unearth facts about alleged discussions at the Justice Department both to surreptitiously record conversations with Trump and to approach Cabinet members about replacing him under the U.S. Constitution’s 25th amendment. Johnson said federal law enforcement officials would have done better to approach Trump quietly about concerns they had involving members of his campaign. Democrats have been calling for the release of Mueller’s full report, submitted on Friday to Barr, who issued a summary. 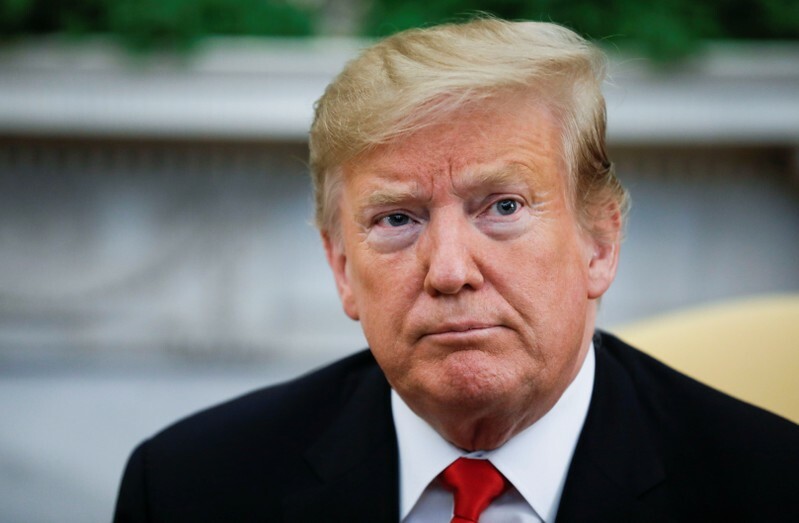 Trump said he had been completely exonerated even though the report did not clear him on the question of obstructing justice. During his investigation Mueller brought charges against 34 people, including Russian agents and former key Trump allies. Rep. Jim Jordan, R-Ohio, took offense with House Intelligence Committee Chairman Adam Schiff's insistence there was collusion between President Donald Trump's campaign and Russia, saying Attorney General William Barr's summary of special counsel Robert Mueller's findings proved the point. "Did he not read Bill Barr's letter?" Rep. Jordan told Fox News' "America's Newsroom." "The attorney general said there was no collusion and points out in his letter that there were multiple opportunities for Trump campaign officials to work with Russians, but they didn't do it. Russia dangled the forbidden fruit in front of people all the time and they didn't bite." Barr's statement could not be stronger, as it meant "total vindication" for Trump, and that means "good news" for the United States as well, Jordan said. He also slammed Rep. Eric Swalwell, D-Calif., for saying in an interview he believes the Christopher Steele discredited dossier on Trump and Russia. "The dossier, don't take my word for it, take Jim Comey's: He said it was salacious and unverified," Jordan said. "Jim Comey said this dossier was not accurate." "We all know it's National Enquirer garbage," he added. "The scary thing is . . . they took this document, paid for by the Clinton campaign, dressed it all up and took it to the secret court to get the warrant to go and spy on the Trump campaign." Footwear aplenty will fall as more details from Special Counsel Robert Mueller’s long-awaited report are disclosed. The reckoning will come in several baskets and will fall on Democrats and Republicans alike, with major ramifications for 2020. Basket No. 1: More information about the Mueller Report and the basis for its conclusions. There are four potential obstacles to releasing the entire report and underlying evidence. Some of it may be classified, some protected by grand jury secrecy, and some may reflect badly on people Mueller declined to charge. The president could also claim executive privilege, but probably won’t because doing so is perilous politically. Perilous, too, is the Democrats’ insistent demand for transparency. The investigation was thorough – and lasted more than the first half of Trump’s four-year term. More evidence might only reinforce Trump’s claim he’s entirely innocent. He’ll pound that home. Basket No. 2: Will House Democrats push ahead with other investigations of Trump? The short answer is: Yes. The big decision is how long they will keep it up. The liberal donor base loves it, but most voters do not. House Speaker Nancy Pelosi knows that and wants to protect her majority, which depends on swing districts. But she can’t control the party’s vocal left wing or its independent committee chairs, particularly Jerry Nadler and Adam Schiff. Average voters—not on the extremes in either party—are bound to ask that question. The Democrats and their media allies have made “Russia Collusion” their top story line for two years. If they persist on that course instead of focusing on health care, income inequality, and foreign enemies, they look like Inspector Javert, or, worse, Inspector Clouseau. The mainstream media are already badly damaged. They followed the same path and, in the process, obliterated the once-sacred line between reporting and opinion. Basket No. 4: Did the FBI, Department of Justice, and intelligence agencies commit their own wrongdoing? This final basket overflows with shoes that could drop. The cascade may well begin with three upcoming reports from DoJ Inspector General Michael Horowitz likely to result in grand jury investigations. So will the documents that Trump could declassify and release. (He’s been waiting for the Mueller investigation to end.) To restore faith in the rule of law, prosecutions cannot be seen as political retaliation. Accountability for law enforcement and intelligence agencies should be pursued by apolitical career prosecutors and made as transparent as possible. The slap-dash investigation of Hillary Clinton’s email shenanigans must be thoroughly reviewed. Her aides received unprecedented immunity without giving evidence; their computers and cellphones were destroyed; and the principal herself was cleared before an interview with her was conducted. Who really made the decision not to prosecute? James Comey says he did. But FBI lawyer Lisa Page testified under oath that the order came from the Department of Justice. This discrepancy must be resolved, along with the obvious questions raised by the original decision. How high up did it go? Did it reach the Obama White House? Who unmasked the countless U.S. citizens whose names came up during foreign surveillance operations? Who illegally leaked them? Expect to learn about FBI and intelligence agencies’ efforts to penetrate the Trump campaign. Who was behind it? On what evidence did they base it? We also need to know a lot more about the warrant to spy on former Trump campaign adviser Carter Page. He is a U.S. citizen, entitled to those protections, and had cooperated freely with our intelligence community. But the FBI decided on secret surveillance. It came up empty. Was the surveillance warrant against Page obtained on false pretenses? This would be the case if the foreign intelligence court (FISA) was given inaccurate, incomplete, and unverified information. That is almost certainly what happened, and the evidence needs to be fleshed out. How important was the “Russian dossier” compiled by Christopher Steele at the direction of Glenn Simpson and Fusion GPS? Why wasn’t its funding by the Clinton campaign and the Democratic National Committee disclosed to the courts? Why didn’t the warrant-seekers disclose Steele’s bias, which was known to the FBI? Why did top law-enforcement officials certify the dossier as verified when it was not? To compound this mess, why wasn’t the court given exculpatory evidence, as required? While the court was being told one thing, Donald Trump was being told another. Comey specifically told Trump the dossier was not verified. That’s not in dispute. Nor is the leak that immediately followed the briefing. Until then, media outlets had declined to mention the dossier because it looked so unreliable. A presidential briefing made it newsworthy. The story was bound to damage Trump, which was apparently the reason for the briefing. This matters not only because the leak was illegal but because it appears to have been part of a coordinated effort by law-enforcement agencies to undermine a presidential candidate and duly-elected president. We need to know what happened—all of it—and then hold people accountable. If laws need to be changed to prevent its repetition, pass them. After all this time, the FBI still refuses to say what started the Trump investigations. It won’t say if agents tried to entrap people associated with the campaign. It won’t say why it did not warn Trump that Russians might be trying to penetrate his campaign. Contrast that with the kid-glove treatment of Dianne Feinstein, ranking Democrat on the Senate Intelligence Committee, when her driver was found to be a Chinese spy. She was privately informed and the staffer quietly removed. Those are major, unanswered questions. They are central to the rule of law, and there are far too many of them. The answers are likely to pose serious problems for top officials in President Obama’s DoJ, FBI, and intelligence agencies. A boatload of shoes is about to drop. Charles Lipson is the Peter B. Ritzma Professor of Political Science Emeritus at the University of Chicago, where he is founding director of PIPES, the Program on International Politics, Economics, and Security. He can be reached at [email protected]. A leading Senate Republican said on Monday he would ask Attorney General William Barr to appoint a special counsel to probe whether U.S. law enforcement officials made missteps in their investigation into possible collusion between President Donald Trump's campaign and Russia. A day after the attorney general said the report by Special Counsel Robert Mueller found Trump's campaign did not conspire with Russia, Senate Judiciary Committee Chairman Lindsey Graham said: "We will begin to unpack the other side of the story." He said it was time to look at the origins of a Foreign Intelligence Surveillance Act (FISA) warrant for former Trump adviser Carter Page, which was based in part on information in a dossier compiled by Christopher Steele, a former British intelligence officer who co-founded a private intelligence firm. A Justice Department spokeswoman declined to comment on Graham's request. Graham said he would look into those matters as chairman of the Judiciary Committee, using subpoena power if necessary, whether or not a special counsel is appointed. Republican lawmakers have contended the FBI made serious missteps when it sought the warrant to monitor Page in October 2016 shortly after he left the Trump campaign. Page, a foreign policy adviser during Trump's campaign, drew scrutiny from the FBI, which said in legal filings in 2016 that it believed he had been "collaborating and conspiring" with the Kremlin. Page met with several Russian government officials during a trip to Moscow in July 2016. He was not charged. Steele was initially contracted by Fusion GPS, a Washington-based political research firm, to investigate Trump on behalf of unidentified Republicans who wanted to stop Trump's bid for the party's nomination. Fusion was then hired by lawyers connected to 2016 Democratic presidential candidate Hillary's Clinton's campaign. Graham told reporters he planned to ask Barr when they talk on Monday to appoint a special counsel to investigate the FISA matter, which is already being probed by the Justice Department's internal watchdog, Inspector General Michael Horowitz. Graham said later that Barr agreed to appear before the Judiciary Committee after he vets Mueller's report, according to media reports. 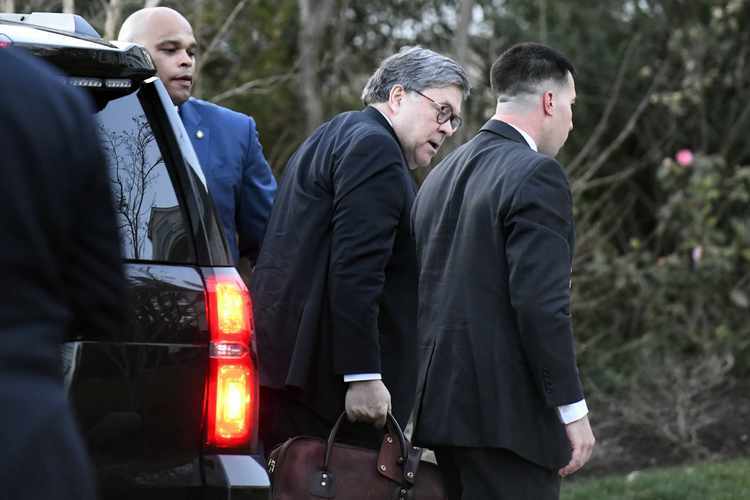 On Sunday, Barr said Mueller's team had not found evidence of criminal conspiracy between Trump's campaign and Russia in the 2016 election and had left unresolved the issue of whether Trump obstructed justice. It is not the first time Republicans have called for a special counsel to look into the matters. Last year, then-Attorney General Jeff Sessions tapped U.S. Attorney John Huber to review a range of Republican grievances, including concerns about the FISA warrant. That review is pending. WASHINGTON (Reuters) – The Republican chairman of the Senate Judiciary Committee said on Monday he will ask Attorney General William Barr to appoint a special counsel to look into the origins of the investigation of whether President Donald Trump’s campaign conspired with Russia to influence the 2016 election. He said it was time to look at the Clinton campaign and the origins of a Foreign Intelligence Surveillance Act (FISA) warrant for former Trump adviser Carter Page, which was based in part on information in a dossier compiled by Christopher Steele, a former British intelligence officer who co-founded a private intelligence firm. Graham said he would look into these matters as chairman of the Judiciary Committee, using subpoena power if necessary, whether or not a special counsel is appointed. Republicans lawmakers have contended the FBI made serious missteps when it sought the warrant to monitor Page in October 2016 shortly after he left the Trump campaign. Republicans said the FBI failed to disclose that Steele was hired by a firm funded by Democrats to do opposition research on Trump’s business dealings. However, Steele was initially contracted by FusionGPS, a Washington-based political research firm, to investigate Trump on behalf of unidentified Republicans who wanted to stop Trump’s bid for the party’s nomination. Graham said he planned to ask Barr when they talk on Monday to appoint a special counsel to investigate the FISA matter, which is already being probed by the Justice Department’s internal watchdog. Graham said he wants Barr to appear before the Judiciary Committee to discuss Mueller’s report, which concluded Russia did attempt to intervene in the election on Trump’s behalf. 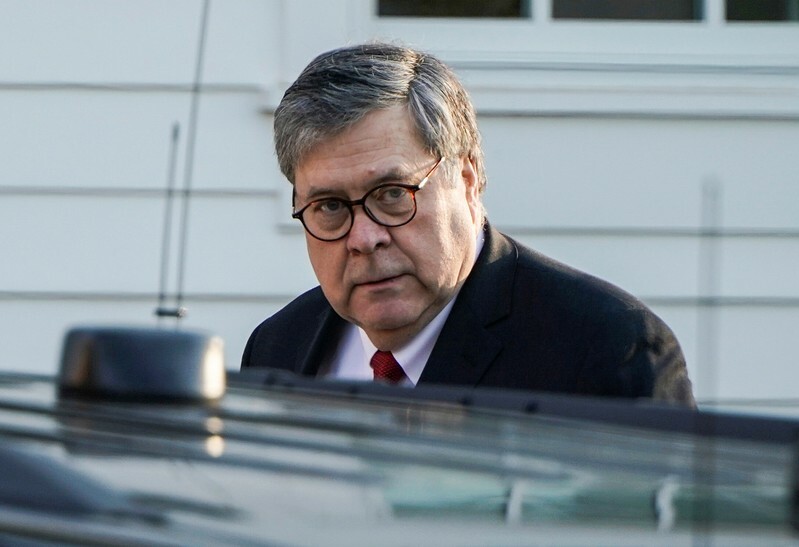 On Sunday, Barr said in a four-page summary that Mueller’s team had not found evidence of criminal conspiracy between Trump’s campaign and Russia in the 2016 election and had left unresolved the issue of whether Trump obstructed justice. Famously a loyal friend to the late Sen. John McCain, R-Ariz. – long a target of President Donald Trump criticism in a storied political rivalry – while also being a notable defender of President Trump's policies, Sen. Lindsey Graham, R-S.C., responded to the president's latest attacks this weekend. "As to @SenJohnMcCain and his devotion to his country: He stepped forward to risk his life for his country, served honorably under difficult circumstances, and was one of the most consequential senators in the history of the body. (1/2)," Sen. Graham tweeted Sunday. "Nothing about his service will ever be changed or diminished. (2/2)," he concluded. Sen. Graham's tweets come amid continued attacks from President Trump, rebuking the late Sen. McCain for his pushing the infamous Christopher Steele dossier in election campaign meddling in 2016 and his casting the deciding vote against a skinny repeal and replacement of Obamacare. As much as Sen. McCain was an adversary of President Trump before and after his election, Sen. Graham has remained loyal to both, including rejecting the Senate's passing of a resolution to unravel the president's national emergency on the southern border. "Totally support President @realDonaldTrump's VETO," Sen. Graham tweeted Friday. "President Trump is right to declare an emergency on our southern border and he's right on the law allowing him to reallocate funds to secure our southern border. #BuildtheWall." Graham's seemingly polar defenses for President Trump and Sen. McCain tend to be rooted in common sense – or uncommon sense – similar to that he tweeted in the follow up to the above. "Question: How can President Trump be accused of 'going around Congress' using a statute . . . passed by Congress?" Sen. Graham also tweeted Friday. Former British spy Christopher Steele, the author of the salacious dossier about President Donald Trump, admitted in a deposition that he used unverified sources for some of the information contained in the document. CNN reported on a deposition Steele gave last summer, in which he said he used material gathered from CNN iReport stories. CNN iReport was a citizen journalist arm of the news network that relied on users submitting stories and multimedia content. Steele admitted to using information he found via internet searches to compile information about Russian company Webzilla, its parent company XBT, and XBT CEO Aleksej Gubarev. The Steele dossier, which was first published by BuzzFeed in January 2017, claimed that Webzilla was working with the Russian government to help conduct cyber operations and interfere with the 2016 U.S. presidential election. Steele said during the deposition that he believed the content he read on CNN iReport had "some kind of CNN status. Albeit that it may be an independent person posting on the site." When asked whether he knew the content on the site had no connection to CNN reporters, Steele replied, "I do not." Reaction to Steele's admission has been swift. White House press secretary Sarah Sanders tweeted, "The author of the fake Russia dossier — paid for by Hillary and the DNC and used to launch the witch hunt against President @realDonaldTrump — now admits he relied on claims posted by a random person on a CNN site 'not edited, fact-checked or screened.'" Trump himself weighed in as well, tweeting, "Report: Christopher Steele backed up his Democrat & Crooked Hillary paid for Fake & Unverified Dossier with information he got from “send in watchers” of low ratings CNN. This is the info that got us the Witch Hunt!"